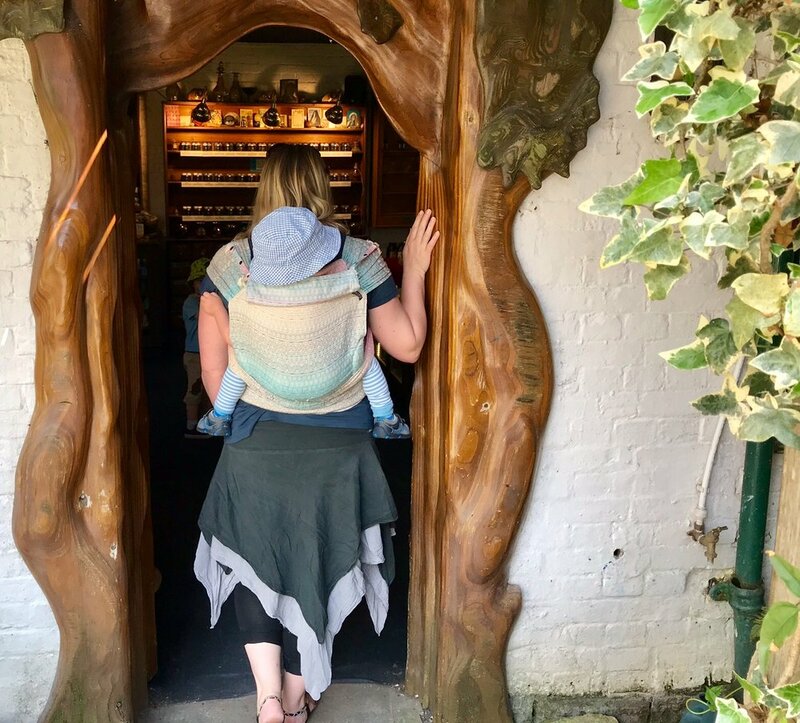 The DidyKlick from Didymos is a half-buckle Meh Dai carrier with a buckle waist and wide, spreadable shoulder straps. 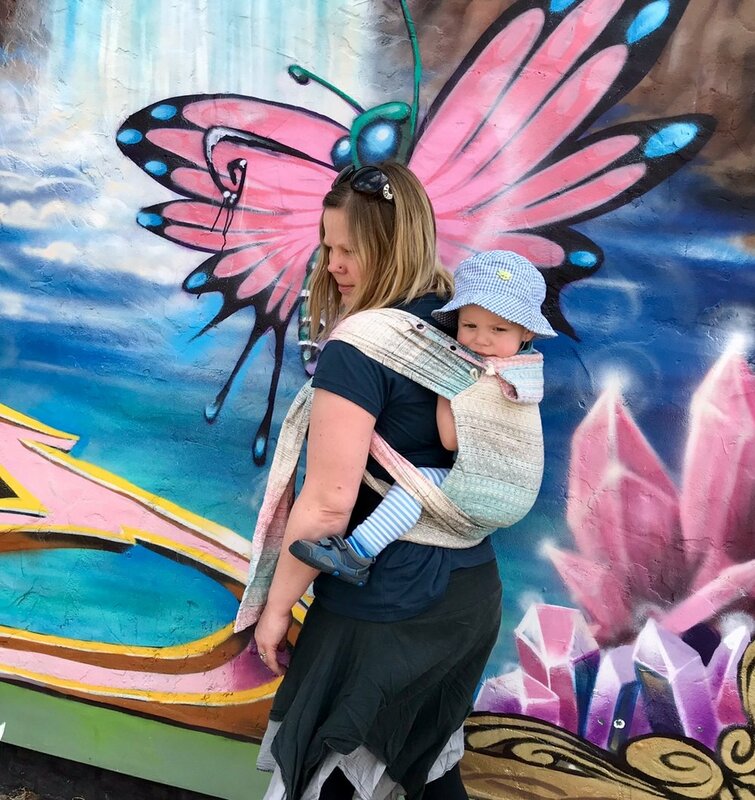 The body and straps of the carrier are made from organic cotton Didymos Prima Aurora wrap fabric. The DidyKlick is fully adjustable and suitable for babies / toddlers from 3kg - 20kg. Of course, the fact that it’s made from gorgeous Didymos wrap fabric was an auspicious start! There’s a range of DidyKlick’s available so you can choose the one that appeals to you most. The qualities of the fabric are just as much present in the DidyKlick as they are in wrap form. In the case of the lovely Prima Aurora, you have wonderful soft, floppy, breathable, mouldable fabric with an intricate design that provides a fine, grippy texture. The colours on the 100% pure organic cotton weft fade from aqua through hot pink, taupe and charcoal grey against a natural white warp. The effect is quite beautiful and ideal for warmer weather and summer outings. The range of DidyKlick’s available to buy, including Prima Aurora, can be found on the Didymos website. You can also follow Didymos on Facebook & Instagram to get the heads up about their news and new releases.